As Twins fans, we tend to look at roster moves through Twins-colored glasses. 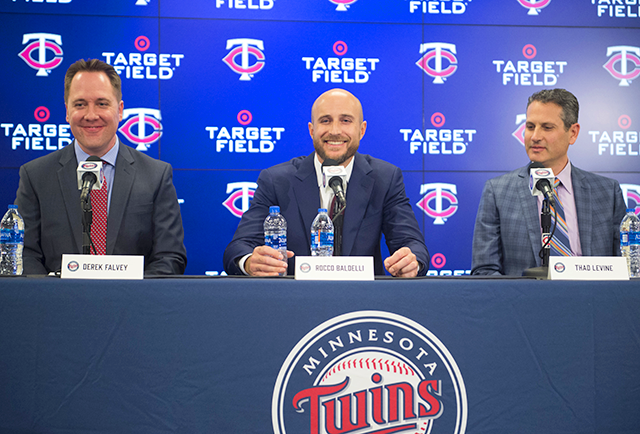 We know there are approaches to roster construction and talent acquisition outside of the Falvey/Levine mold and we try our best to keep track of them, but it’s difficult and time-consuming to monitor 29 other rosters for ideas the Twins could adopt. Unfortunately opposing players don’t have “amateur free agent” or “trade acquisition” on their jerseys along with their name and number. Excellent work! I'd love to see how this trends over more seasons, but the ranges aren't all over the place. The biggest outliers are small market teams, so clearly doing things differently can provide an edge. The trade silence is starting to show issues as we look at the unbalanced ML and AAA rosters, where we have a backlog of outfielders and free swingers, depth problems with middle infielders, and a shortage of high end pitchers and high-quality contact hitters. This kind of article is why I read TD. We shall all soon see, but this and the Twins minor league depth at this time is why the Twins should be pursuing trades, especially with the tanking clubs to increase our major league talent.Problem is their is not a lot of talent at this time on non-contending clubs to be had. Really nice article. Like beckmt says above, their ability over the last couple years to stockpile some minor league talent should lead to some ability to make trades to improve the big club. I hope that comes to fruition.